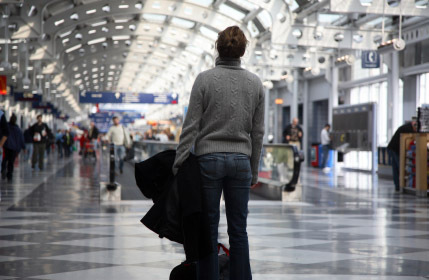 If you’ve been finding air travel increasingly uncomfortable lately, you’re not alone. A just-released report from the DOT confirms that load factors for U.S. airlines reached all-time highs in 2014. For the year, U.S. carriers’ planes on average flew 83.4 percent full. That’s over the airlines’ entire networks. On domestic routes, load factors averaged 84.5 percent, also a record. International load factors were 81.0 percent for the year, slightly off the record, 82.3 percent, set in 2013. Numbers, numbers, numbers. What they tell is a good news-bad news story. Full planes are, of course, good news for the airlines. Operationally, it means their principal assets are being used at optimal efficiency. And it goes hand-in-hand with optimal profitability, as the airlines’ glowing 2014 financial results attest. For flyers, full planes are a nightmare, especially when the crowding is compounded by the trend toward slimline seats and less legroom. With cabins virtually full on more popular routes, flying coach becomes an exercise in claustrophobia management and self-control. What’s a flyer to do? No-cost options include flying on airlines that at least feature a scooch more legroom, like JetBlue (which averages 34 inches of seat pitch) or Virgin America or Southwest (with 32-inch pitch seats), and steering clear of United (30 inches) and Spirit (28 inches). You might get lucky and be able to book a bulkhead or exit-row seat. But those are in short supply, and they are increasingly priced as extra-fee services. Use miles to upgrade to a cushier seat? That’s an option, but no longer a cost-free one. Today, most programs impose a cash surcharge on mileage upgrades—as much as $500 each way on international flights. For some, the get-out-of-jail card is booking a seat in premium economy, with a few extra inches of legroom. Nice, but they can command significantly higher prices than cattle-car coach seats. How do you survive coach-class flying?